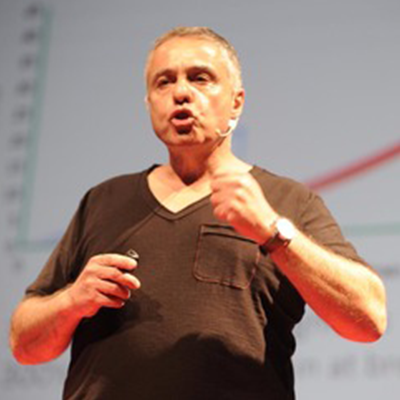 Oded Shoseyov, PhD is a professor of Protein Engineering and Nano Biotechnology. Scientific Founder among other of Futuragene, CollPlant, Melodea, SP-Nano, Valentis CannaBitech and Biobetter. A faculty member of the Hebrew University of Jerusalem. Prof. Shoseyov’s research is in plant molecular biology protein engineering and nano-biotechnology. His group focus on Bio-Inspired Nanocomposite materials. He has authored or co-authored more than 160 scientific publications and is the inventor or co-inventor of 50 patents. Shoseyov is also co-owner and winemaker of BRAVDO winery named after his mentor, and partner Prof. Ben Ami Bravdo. Prof. Shoseyov received the Outstanding Scientist Polak Award for 2002, the 1999 and 2010 Kay Award for Innovative and Applied Research and the 2012 Israel Prime Minister Citation for Entrepreneurship and Innovation. He is the scientific founder of 10 companies.